I've left my normal Bulgarian classes group now. My Turkish classmates started turning up for every class really late, taking double the amount of time for breaks, showing little or no respect to the teachers and the whole learning process just got really slow. I was eager to get on and learn so I left the group and swapped all my remaining lessons for a smaller amount of one on one lessons with the teacher. I was pleased with that because I felt that after 6 months of lessons I just needed now to practice my Bulgarian in real life situations as much as I could. - Кире, колко е 5 плюс 5? - пита учителката. - Хайде сега, извади си ръцете от джобовете и преброй пак! - Скъпа, днес имаме годишнина от сватбата, мисля да заколя прасето. To be honest my motivation for going to Bulgarian classes is also dwindling now, the weather's getting nicer and I often find something else that I'd prefer to be doing. A boy called 'Mishu' that I met at a party in студентски град (student town) is a fan of the Sofia football club 'Левски' (Levski Sofia) and he has started inviting me to watch the matches live at the national stadium. Levski don't usually play their home matches at the national stadium but this season they happen to be doing well in the UEFA European Cup. The only slight problem here is that Mishu's friends like to think they're football hooligans and we watch every match from the hard-core fan/hooligan stand 'сектор Б'. Even though the stand has got a reputation for general hooliganism it's not too bad, a few scuffles break out, they monkey chant when a black player from the opposing team warms up nearby but all in all they're mostly just teenagers looking to vent some energy. I get the impression that not many in this stand are actually interested in watching the football match. 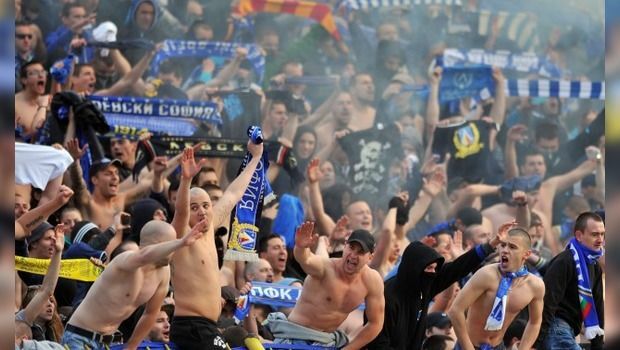 The only time I did get a bit nervous standing in that sector with the hooligans was when there was an English referee for Levski's most important match of the season against Shalke in the quarter finals of the European cup. Levski lost 1-3 and the English referee sent off one of Levski's best players. I was standing in amongst the very angry hooligans who were now trying to throw things at the referee and chanting 'английски педераст! английски педераст!' (English bender English bender). Now I am not English but Bulgarians don't really differentiate between Welsh and English and everyone assumes I'm English immediately upon seeing me. I was praying the hooligans wouldn't notice me and decide that I am also an English bender. If there was ever a time I wished I wasn't where I was that was it. I put my hood up, pretended to eat a 'семка' and luckily the moment passed and I got out alive. 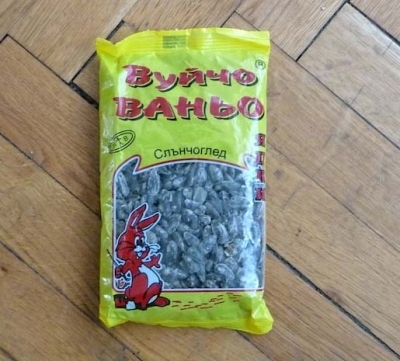 I say 'pretended' to eat a 'семка' (seed) because despite hours of practice and lots of one on one tutorials from friends I just can not 'чопля семки' (I don't even know what the translation is - to shell seeds?). My friends will buy a big packet of seeds, usually sunflower seeds, and by half time of the football match they have completely annihilated the whole packet. I watch them doing it and it is like watching an automatic machine gun: out of the packet, in the mouth and a millisecond later the shell comes flying out having been automatically and magically been separated from the seed itself. Now when I put one of these sunflower seeds complete with shell in my mouth its like a war zone. I can crack the shell but it all splits into a thousand little bits and gets all intermingled with the seed itself meaning I swallow a lot more shell than seed. I pretend as best I can that everything is normal and that I have extracted the shell successfully by spitting little bits out, but the truth of it is that I just have to swallow lots of sharp pieces of shell. I just can't do it! I've practiced and practiced, maybe Bulgarians genetically have different teeth that have been perfected over generations into perfect shell splitting teeth. 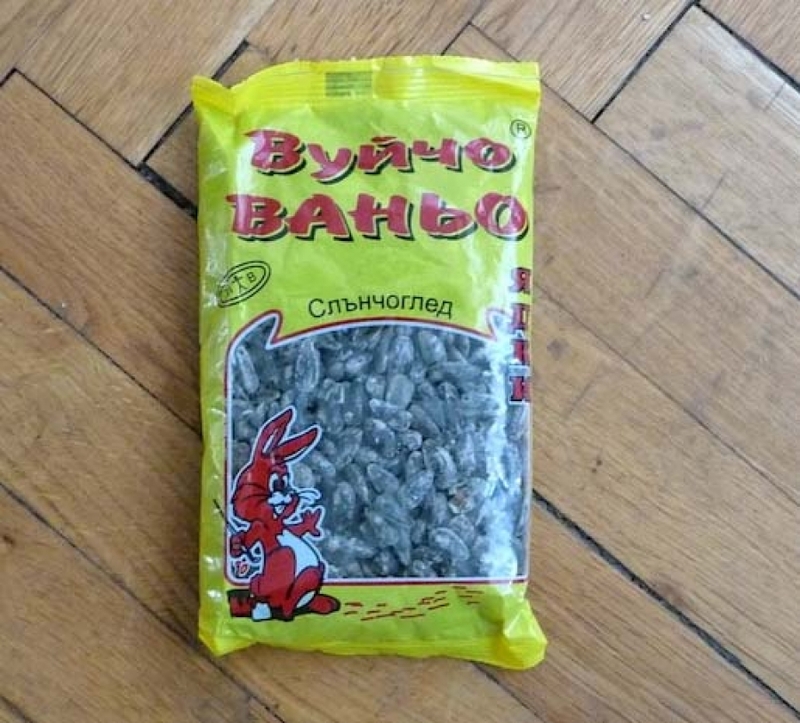 I just can't admit that I'm not able to master the technique - Is it genetically possible for me ever to learn to 'чопля семки' as well as Bulgarians? My record for a whole football match is 17 sunflower seeds. My friend brought me a pack for Christmas last year and I still haven't managed to finish it!